We were delighted on Friday at the visit of Year 7 graduate Jimmy and his mum who was happy to answer the question many parents ask: how does Panyaden prepare their child for high school? “When I took Jimmy to his new school, the admissions officer told me that if Jimmy came from Panyaden, they would take him for sure. They didn’t even need an entrance exam! “He has since scored really high marks in English, science and maths and this is a boy who came to Panyaden only 3 years ago with no English at all. I was so worried when we started at Panyaden because he was shy and had no friends but I am so grateful that Panyaden gave him a chance. It completely changed him. In just one term he had good friends and his enthusiasm for learning and his confidence grew and grew. He is now a confident boy who thinks for himself and knows how to solve problems. 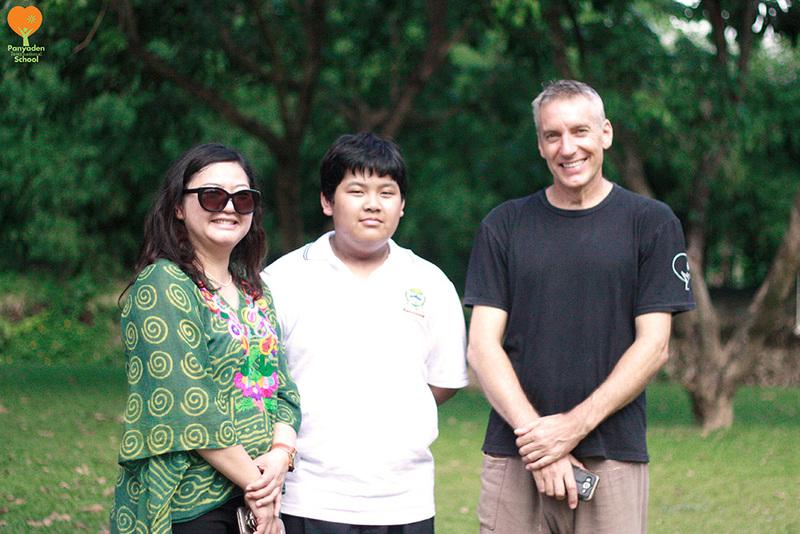 He has got great academic grades in his new school, but Panyaden taught him so much more than that.” Jimmy is attending the international programme at a Thai bilingual school. He told us he misses Panyaden very much. And we miss him too! This entry was posted in Featured Posts, Others and tagged graduate, Panyaden, success, Year 7.